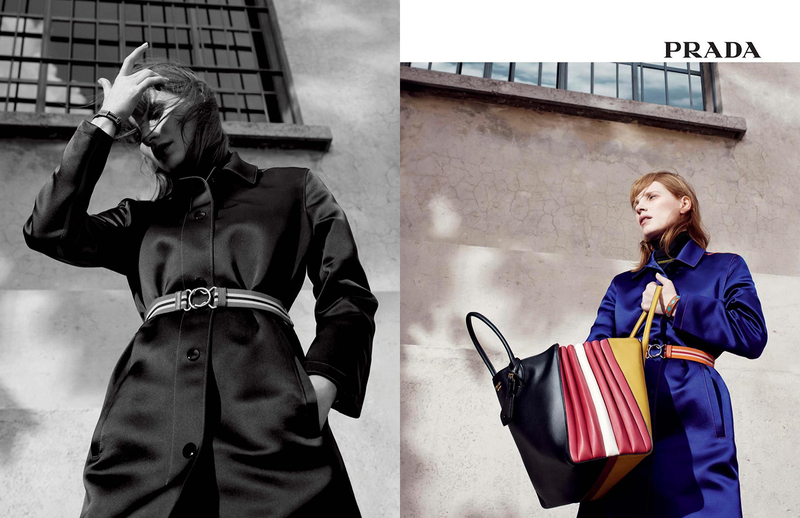 Even though I didn´t recognized her at first, I find the American actress Jessica Chastain great in this Prada Resort 2017 campaign, shot by one and only Willy Vanderperre and styled by OlivierRizzo. 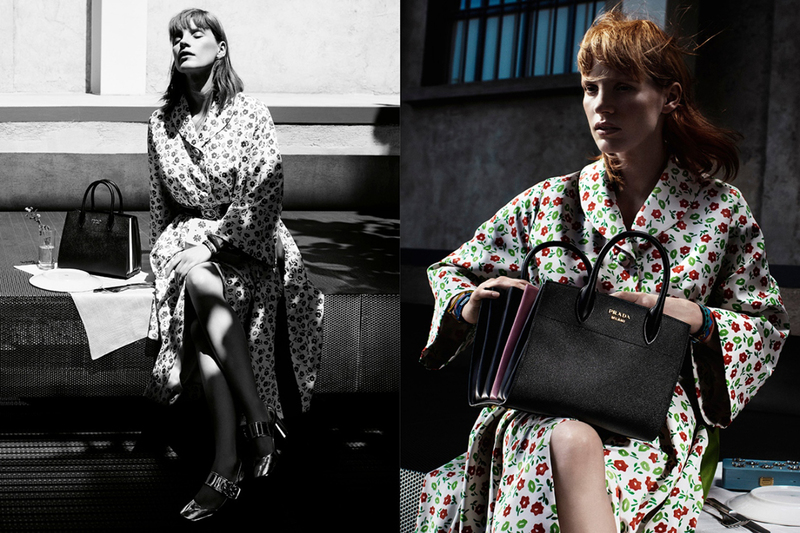 To be frank, this is not Chastain´s first campaign, but for sure it´s the first for the Milanese brand and definitely the first one featuring her that I like. 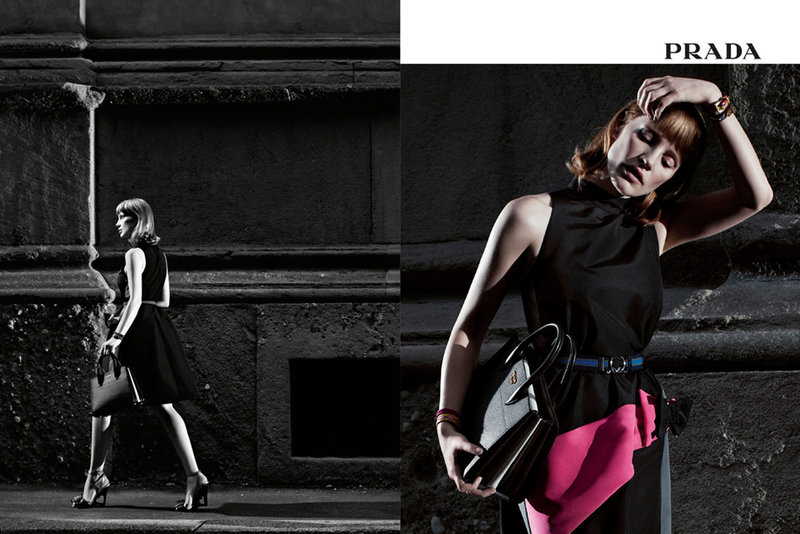 These series of images are sort of "Prada playing Prada", meaning that Jessica wears and carries the essential Prada, a kind-of distillation of the brand, while the background features Milanese landmarks, places where Prada feels most like at home, such as via Daniele Manin, Civic Planetarium "Ulrico Hoepli" and, of course, Fondazione Prada.